Brittleness is a dominant issue that restricts potential applications of Mg2Si intermetallic compounds (IMC). 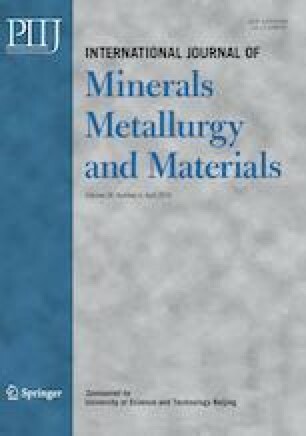 In this paper, guided by first-principles calculations, we found that Al doping will enhance the ductility of Mg2Si. The underlying mechanism is that Al doping could reduce the electronic exchange effect between Mg and Si atoms, and increase the volume module/shear modulus ratio, both of which are beneficial to the deformation capability of Mg2Si. Experimental investigations were then carried out to verify the calculation results with Al doping contents ranging from Al-free to 10wt%. Results showed that the obtained ductile-brittle transition temperature of the Mg2Si-Al alloy decreased and the corresponding ductility increased. Specifically, the ductile-brittle transition temperature could be reduced by about 100°C. When the content of Al reached 6wt%, α-Al phase started to precipitate, and the ductile-brittle transition temperature of the alloy no longer decreased. This work was financially supported by the National Key Research and Development Program of China (No. 2016YFB0700500) and the National Natural Science Foundation of China (No. 51574027).